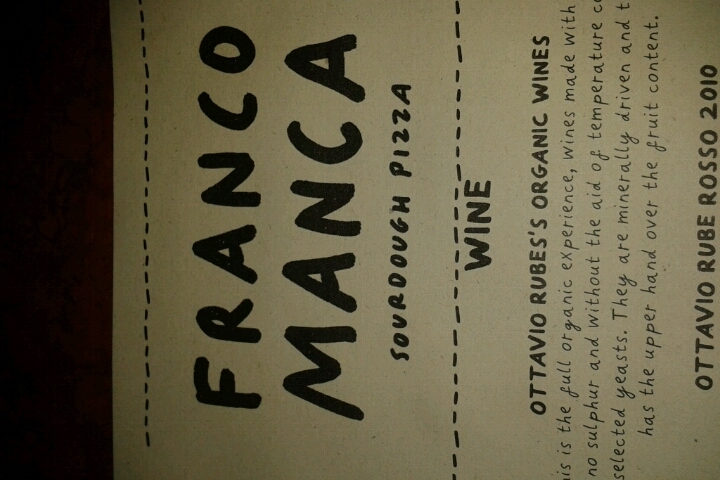 I must admit I knew about Franco Manca for almost two years before visiting for the first time last week. It’s not that I don’t like pizza or that Chiswick (or Brixton) is very far from where I live. What happened is that since I’ve moved to the UK I have not yet encountered a decent pizza, let alone a decent Italian pizza (there is an exception to this – an amazing butternut squash and caramelised onion pizza at bar room bar in Birmingham two years ago… unfortunately it was a special and I never tasted it again)*. I mean I lived in Brussels for almost ten years where Italian restaurants and amazing simple pizzas are a common sight in every neighbourhood. Even in Lisbon, a place not wildly known for its breadth of Italian restaurants, I can direct you to at least 3 very good pizzerias. 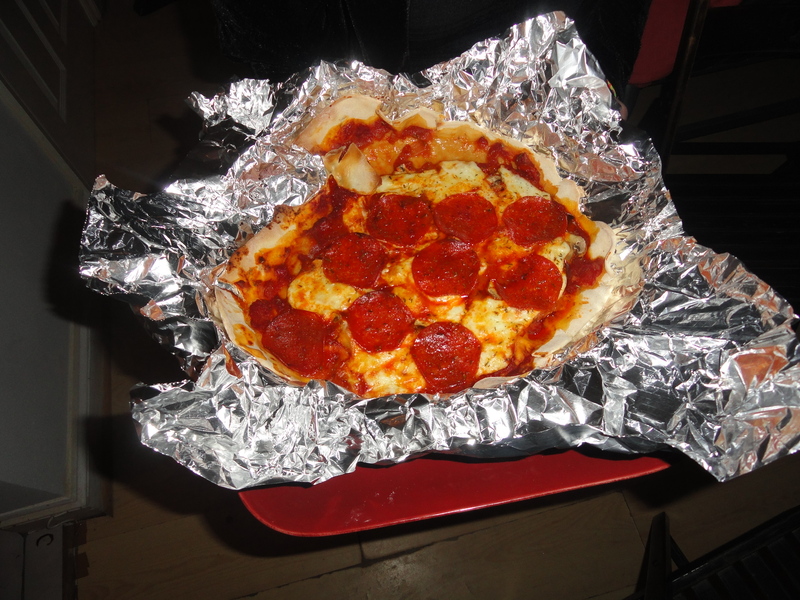 And so… after three years of failing to find any good pizzas, I had kind of forgotten about it. The other day, while shopping around Chiswick High Road I passed Franco Manca and saw lots of people having what seemed like great pizza in their outside tables. My faith in pizza was almost restored and I decided to come back later in the week… and I am so happy I did. 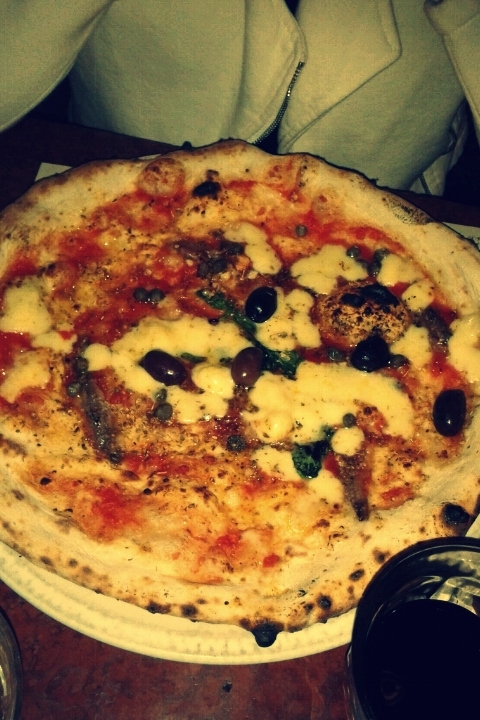 Mr Salted Cod went for a tasty Ham, Mushroom, Ricotta and Mozzarella pizza, while I stuck with more classic flavours in what can only be described as puttanesca on a pizza – olives, capers, anchovies and tomato – with the addition of mozzarella. As you can see in the picture this pizza ticks all the ‘perfect pizza’ boxes: fresh and simple ingredients, puffy crust, charred bits and thin base. My ‘puttanesca-like’ pizza was incredible – a perfect mix of salty from the anchovies and olives and sweet from the tomato sauce and the cheese. While I liked the other pizza too, I prefer to stick to more classic flavours when it comes to a tomato-based pizza (I just think it goes better with the sauce). On top of this, this pizzas tick the extra ‘perfect pizza’ box, price! At less than £7 each this is what I expect a pizza to be – fresh ingredients, thin crust and an acceptable price tag, just like in Italy, Belgium or Portugal. 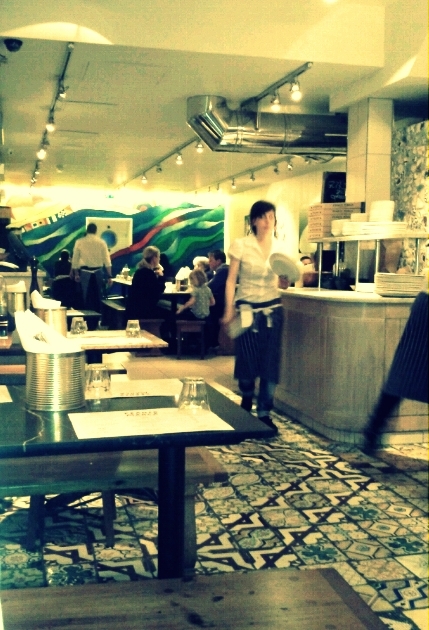 So thank you Franco Manca for restoring my faith in pizza in the UK – I feel like this will become my local. Rating: 9 meatballs out of 10. *Also I must admit that I have had some very good pizzas from Osteria Basilico, but these are quite expensive and I only have them as a takeaway so don’t really count as a great pizza. 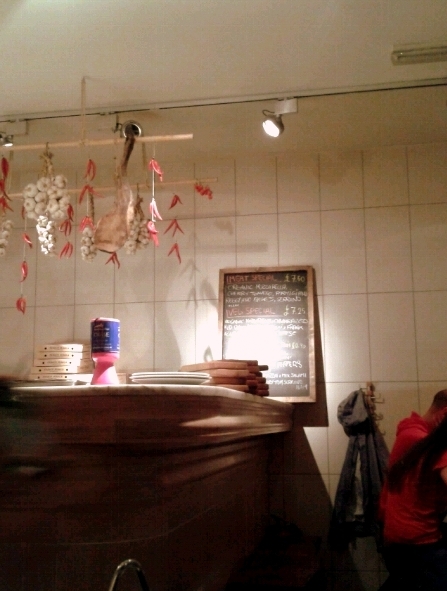 EDIT: Osteria Basilico and Basilico the delivery service are not the same, sorry for the misunderstanding.